There are several types of business loans that are alternatives to merchant cash advance and ach bank loan. 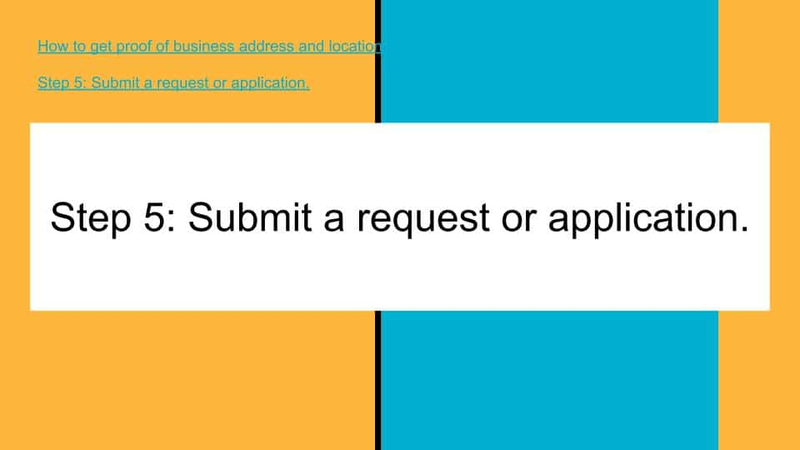 Many businesses can qualify for these other options. Call us for several other options to the daily and weekly repayment merchant cash advance loan. Complaints about mca merchant cash advance financing , constantly heard from customers and we can provide answers and relief. 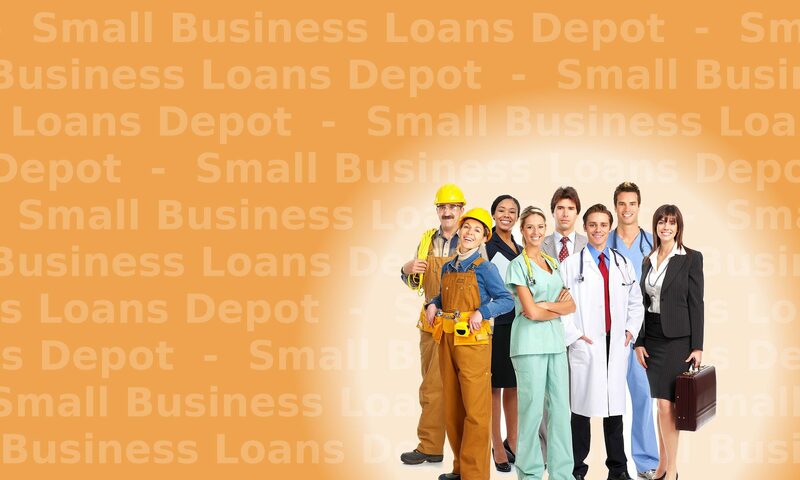 If you need a business loan instead of an ach merchant cash advance, apply below now. Or call us at Tel: 1-919-771-4177, or Get an alternative to a mca merchant cash advance here. Some customers call in and tell us, “The cash advance company lied to me”; The cash advance company won’t work with me. They won’t lower the payments. How do I get out of it? 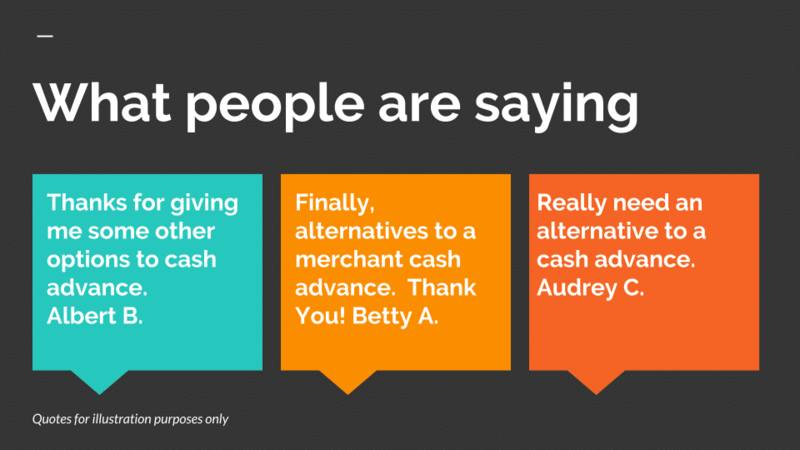 Most customers just say that they don’t want a cash advance. They say they need funding but they don’t want a merchant cash advance. They ask for longer terms such as 24 months or 36 months. Longer term mca consolidation programs are being offered by some alternative funders to improve or rescue businesses from cash flow emergencies. One asset based loan program is a real estate cash advance program. It offers longer terms and higher dollar amounts. Getting this help is sometimes the difference between the life and death of a business. Consolidation programs are being offered by some alternative funders to improve or rescue businesses from cash flow emergencies. Getting this help is sometimes the difference between the life and death of some businesses. What are alternatives to the merchant cash advance loan and ach daily repayment loans? Businesses may qualify for several options that are not daily repayment loans as well as weekly repayment loans. They include Factoring, real estate backed loans, business Lines of credit, and an asset based loan. Need a lower rate merchant cash advance? Contact us for low rate cash advance options. Rates as low as the low teens. Most merchant cash advances are for between 3 and 9 Months. Much longer term options are available. Get a 12, 13, 14, 15, 16, 17, 18 and up to 24 Month mca merchant cash advance. Business have other needs including money to pay for inventory. Consider information on how to get money for product orders. Monthly repayment business loans. not getting money now in advance of money it will earn in the future. In fact, it is the opposite. asset based loans, asset based business loans or a loan against equipment. with terms starting at 12 months to 60 months. Some have even longer terms, especially if they include real estate. As mentioned above, real estate backed asset backed business loans will be monthly payment loans, not daily or weekly repayment loans. one of the representatives to discuss the options. Call us at Tel: 919-771-4177 and a representative will be glad to discuss which options may be best for your business. 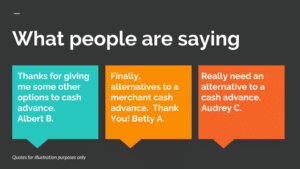 Thank you for visiting our alternatives to merchant cash advance page!